"There Comes A Time" Poem was written at a point in my life on September 13, 2009 , three o'clock in the morning when things were not looking so happy and positive. I had lost my best friend Christie Girl of 15 years, ended a serious relationship, found out that some close, trusted people weren't exactly who and what they said they were, and found my self dealing once again with past health issues from all the stress and anxiety. My life from 19-28 was full of being poked and proded, 3 major surgeries, a few smaller surgeries, and drugs to help numb the pain. Thankfully I fought the fight for nine years and won. 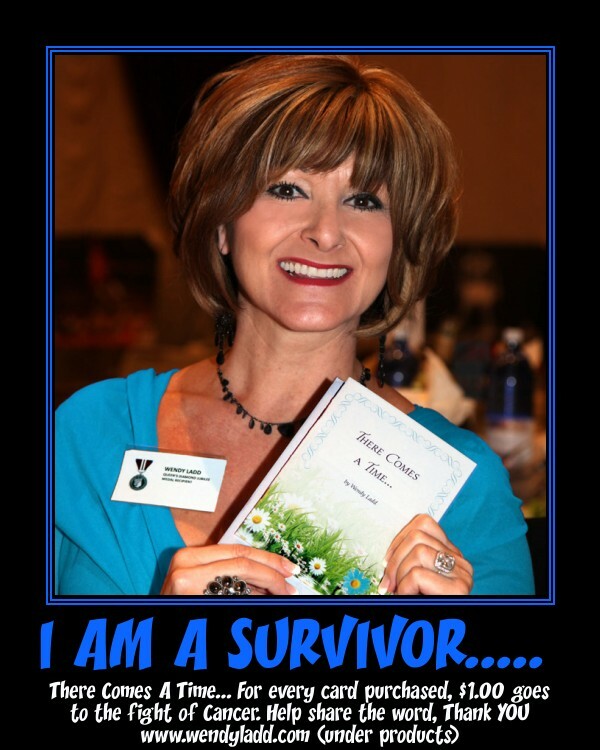 I now openly share with the world, thanks to Tina, that ' I AM A SURVIVOR" I am now twenty years of being cancer free and have finally taken a step forward to share my story, and to help others fight their fight. I kept my story to myself, even to those very close to me as I was afraid they would look at me as weak or judge me and be afraid. As a strong, successful business woman who worked in a very male dominating environment, in the automotive industry, I needed to do whatever it took to make it through, and this I did pretty much alone. Today I celebrate as I have a much bigger vision for the future. I am definitely stronger emotionally and mentally now, healthy through and through, and it is no longer about me and my fight. My poem "There Comes A Time" has been published, November, 23rd, 2012, and is now a greeting card for sale on my site www.wendyladd.com and will be available soon in retail card stores. A video production was filmed with some amazing people who all stepped up to make a difference by sharing a line, and the moment of sadness when I wrote this poem, has become a moment of such JOY and HOPE. I am so happy and inspired when people stop me and share that there was one particular line that meant something so special to them. They shed a tear and had their own special, personal , internal intimate moment. I am inspired by everyone to continue to share my journey with others, to help them Heal and move forward with their own personal fight. I am donating $1.00 for every card that is purchased through the website to the fight against cancer. If you feel inspired please share with your friends. There are so many things I want to do and share with this world as our time here is so very short and precious. 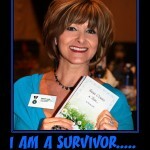 I want to begin with donating and inspiring others to fight their fight, win their battles, and become SURVIVORS. I believe it is not only the battle of cancer we fight daily, but the battle of health and every day life. With all of this experience I have created a peronalized pH balanced accountability program, which all begins with a simple and easy, personal one on one coaching call. My goal is to help you realize how important it is for your health to have a pH balanced diet, monitoring your pH levels through the right balance of alkaline and acidic foods. It is a proven fact that cancer does not survive in an alkaline envirnoment. 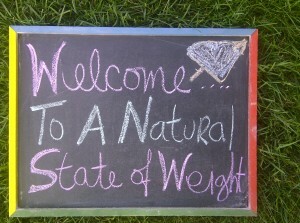 We only have one life to live..... Don't wait until it's too late... Get to your natural state of weight. pH Balanced Diet = FABULICIOUS! As we run around every day being busy, busy, between our full work schedules, dropping off and picking up the children, feeding the dog, and getting to after school sports games, we sometimes find it difficult to make sure we are eating a healthy diet - let alone a pH balanced diet. Where do we find the time? The answer is... you already know, YOU must make the Time. If you were like me at the beginning and were not sure what a pH balanced diet even was, you have come to the right place. This year Fabulous, Fit & Fantastic Living will educate you how to balance your diet, learn more about what alkaline vs acidic eating is, find your pH body balance, and help you to find some peace and joy in your busy schedule. My 2 key words for the new year are HOPE and MOVEMENT. 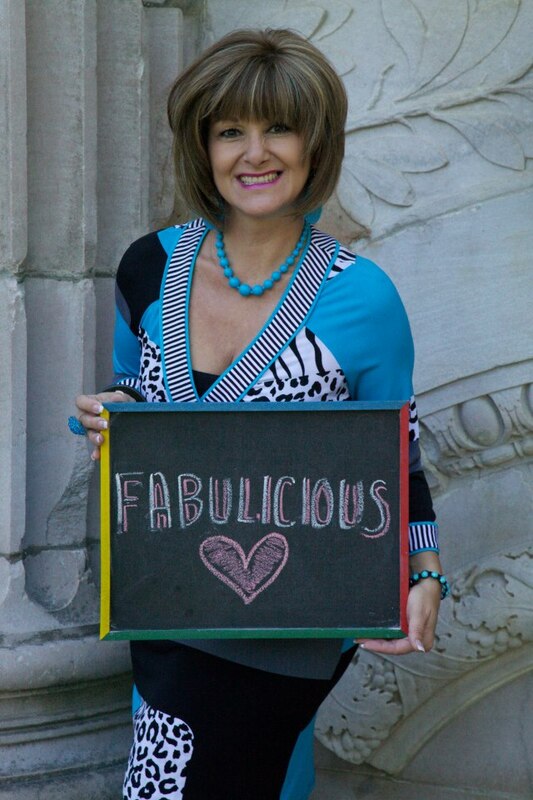 My secondary word is FABULICIOUS. I myself know that is isn't always easy to get to a gym, let alone even enjoy a gym when you are in a rush. For myself walking- MOVEMENT- seems to be the key to keeping my energy and weight in a healthy alignment. Walking is one of the most beneficial and calming exercises you can do for yourself. Just 30 minutes a day gives your body a brand new perspective on energy, blood flow, and overall health.. I am big believer that your Size does not define you, and you dont have to do things because someones says you SHOULD, OR HAVE TO, or be Judged for being YOU. It is my goal to take you through an easy, simple, daily routine, taylored specifically just for you to enjoy better Health that gives you personal satisfaction and results. I want you to ask yourself a couple questions :. 1. Do you ever wake up in pain?. 2. Do you often feel sluggish, tired & achy?. 3. Do you feel challenged losing extra lbs?. If you said, YES to any of the above, pH balanced diet may be for you.. If you have questions or would like a one on one personal consultation please contact me and find out how you can also benefit from pH & Ion Balanced diets that help you “Live a Life of Excellence" and be 'FABULICIOUS". Happy New Year to everyone, and Welcome to the launch of the "New Look" of Fabulous, Fit & Fantastic Living. Our journey is about hope, change, new promises, and new beginnings for all parts of your life. As the calendar year changes for a new day, a new week and a new year it also brings with it the Year of the Snake. The snake will bring people unexpected changes, instability, and changeability. The start of 2013 signifies renewed hope for a better tomorrow, providing a fresh outlook at all things in a better perspective and setting a New Years resolution. The most common New Years resolution for people is to choose to take a look at their health first, and set forth changes to live a healthier lifestyle. Fabulous, Fit & Fantastic Living is about creating YOUR Lifestyle. It is about taking daily steps to a healthier life through physical movement, discipline, personal satisfaction and achievements. It's about Being the Authentic YOU! Learning to live in YOUR own skin and LOVING IT. We believe Life is not about your SIZE and your SIZE does not define YOU. It is about being HEALTHY, and being the best YOU! Our mission is to help people realize that beauty truly is from within, to recognize that we are all created perfectly in our skin, and to accept 100% of who we are and what we are. HEALTHY is much more important than being Skinny. Fabulous, Fit & Fantastic Living was created out of a strong desire to share with the world what I had discovered about pH eating and the proper balance of alkaline vs acidic foods. As a cancer survior who fought a battle for for 9 years and won, the knowledge I found along the way was just too important not to share with the world and hence the Fabulous, Fit & Fantastic Living program was founded. It is a proven fact that cancer does not survive in an alkaline state, and we invite you to come join us on a journey of discovery for yourself. With just some simple, small changes in your eating habits it can make a huge difference in how you feel. 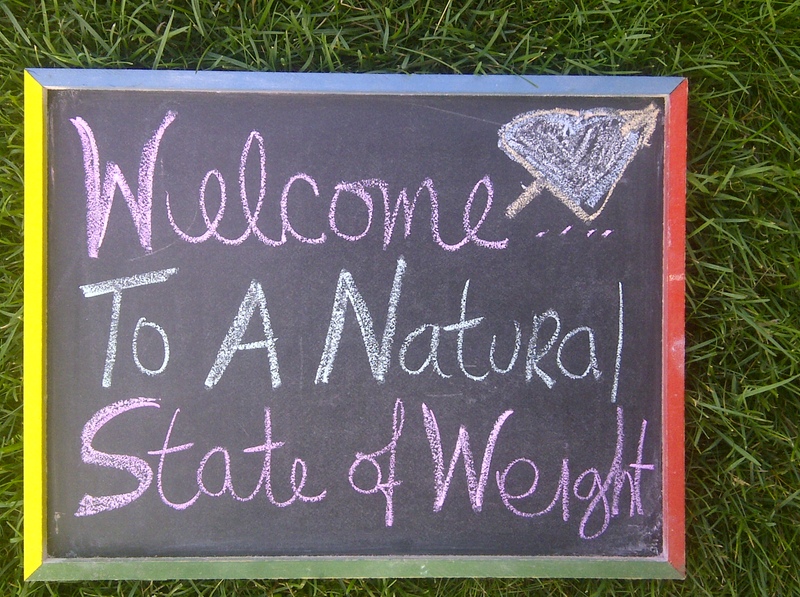 We can teach you how to get to your "natural state of weight" , and enjoy waking up feeling energetic, vibrant and alive. Don't wait until its too late. Find out how you can get the information to make the difference and live a life of being Fabulous, Fit & Fantastic.